DWI is a Texas law prohibiting any driver from operating a motor vehicle when they have lost the normal use of their mental or physical faculties, or by having a legal blood alcohol concentration (BAC) of .08 or above. Citizens can also be charged with driving while intoxicated by the introduction of drugs into their system. The Bryan police department typically use a series of standarized field sobriety tests to develop evidence to arrest for DWI in addition to asking persons to submit to breath and blood tests. Here again, the police in Bryan have developed a “take no prisoners” attitude toward charging Texas A&M and Blinn College students with this very serious misdemeanor offense. 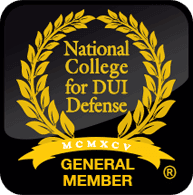 DUI is a zero-tolerance law in Texas that prohibits persons under 21 years old from having any detectable amount of alcohol in their system. Law enforcement officers in Bryan are very aggressive in charging Texas Aggies for this type of offense. Call Us Now if you’ve been arrested or charged with DWI, DUI, or another alcohol related offense.